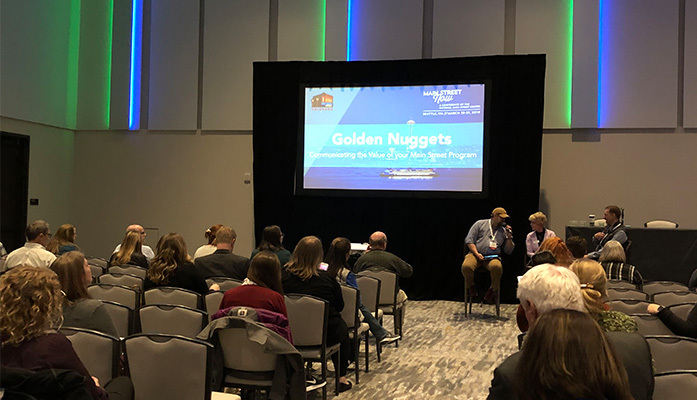 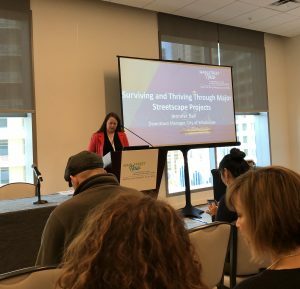 Jennifer Bell of the City of Winchester, VA explained best practices for streetscape projects, emphasizing communication campaigns, tight timetables, and business owner engagement to ensure public buy-in during disruptive improvement projects. 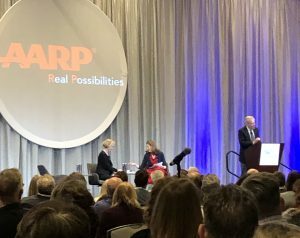 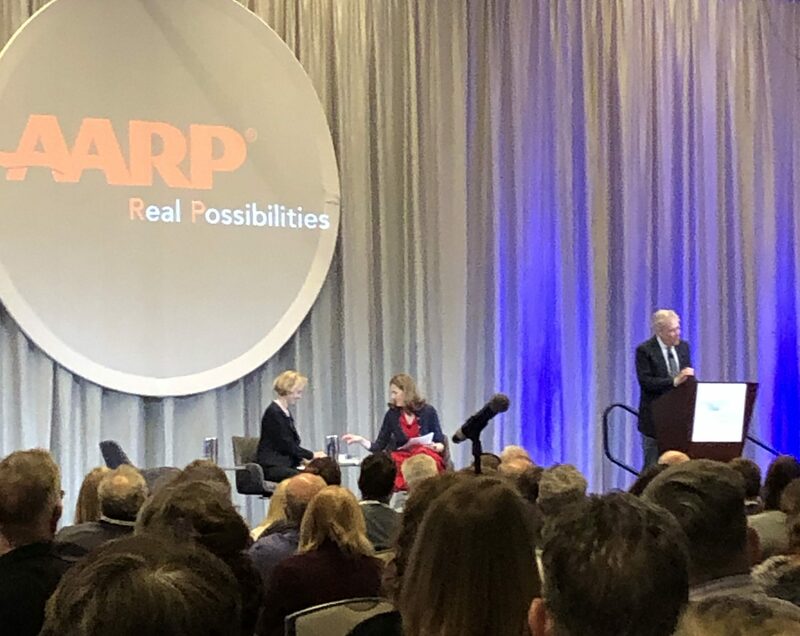 Journalists Deborah and James Fallows, authors of Our Towns: A 100,000 Mile Journey into the Heart of America lead a general session of the conference, highlighting the commonalities and differences among the small communities of the United States, sponsored by AARP. 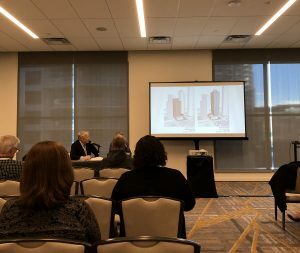 Real estate developer Kevin Daniels and Allyn Stellmacher of ZGF Architects talked through the landmark preservation/new build Mark Tower project, a skyscraper addition to an early twentieth century Beaux-Arts building, and downtown Seattle’s oldest church. 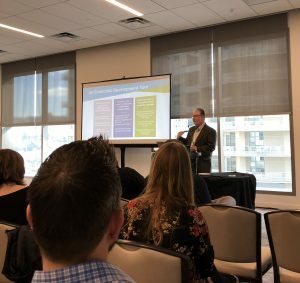 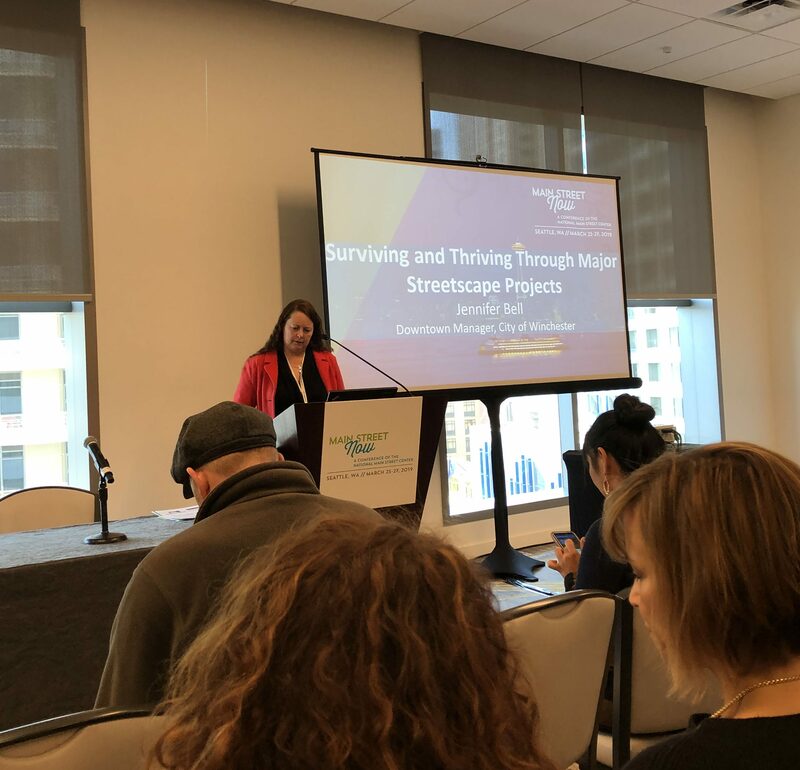 Main Street Colorado’s Gayle Langley and development and branding consultants Matt Ashby and Ben Muldrow explained their storytelling methodology, used to communicate with a diverse audience and amplify the impact and visibility of improvement projects and community initiatives. 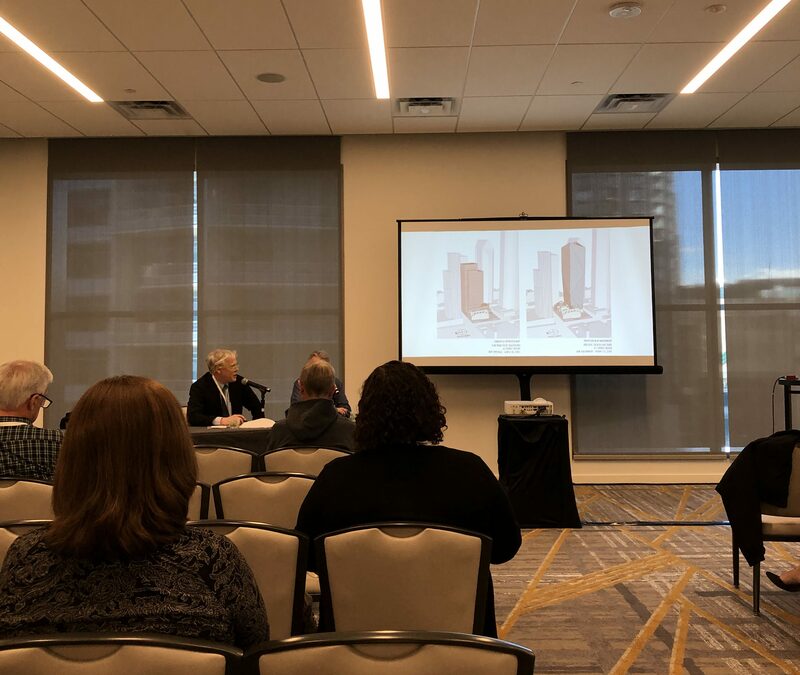 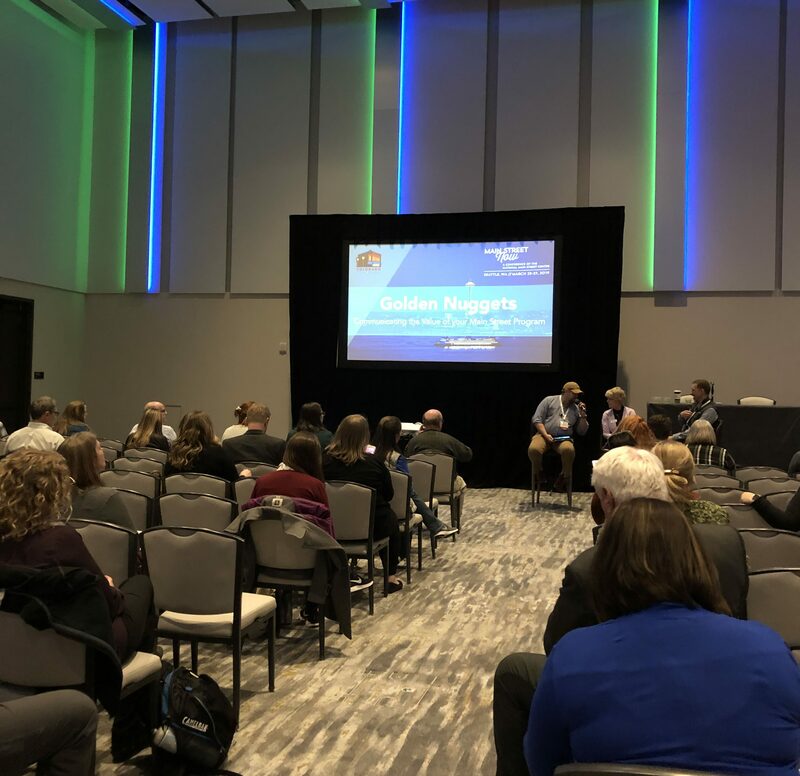 Jim Thompson and Michael Wagler of Main Street Iowa/Iowa Economic Development used case studies of preservation projects in various size communities throughout Iowa to show how landmark projects can trigger a domino effect of preservation and revitalization projects around a commercial district.